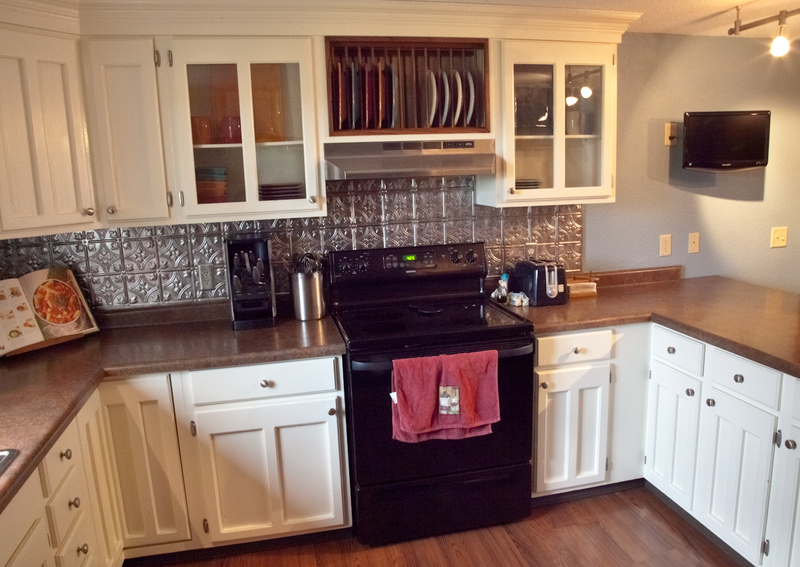 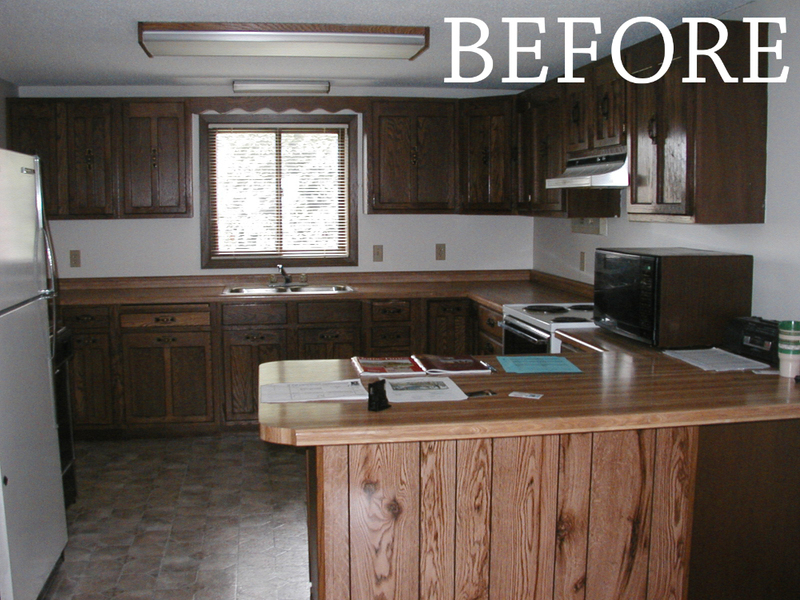 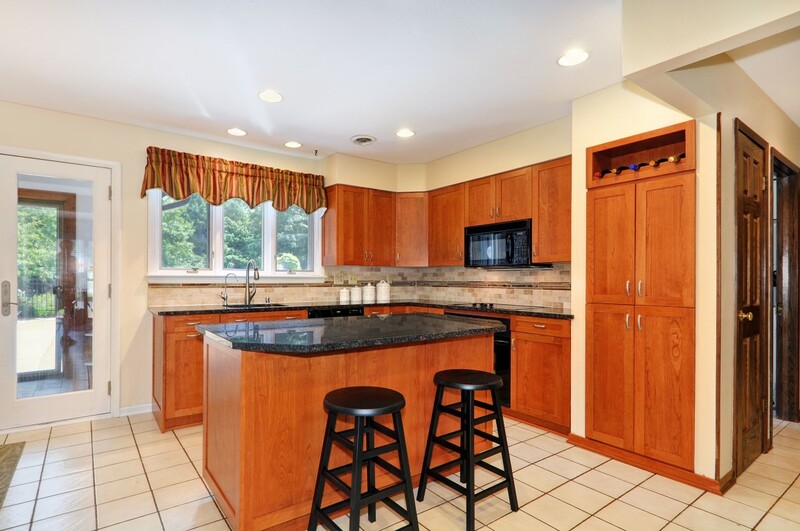 Original cabinets painted modern white and finished with new cabinet hardware,crown molding and glass inserts. 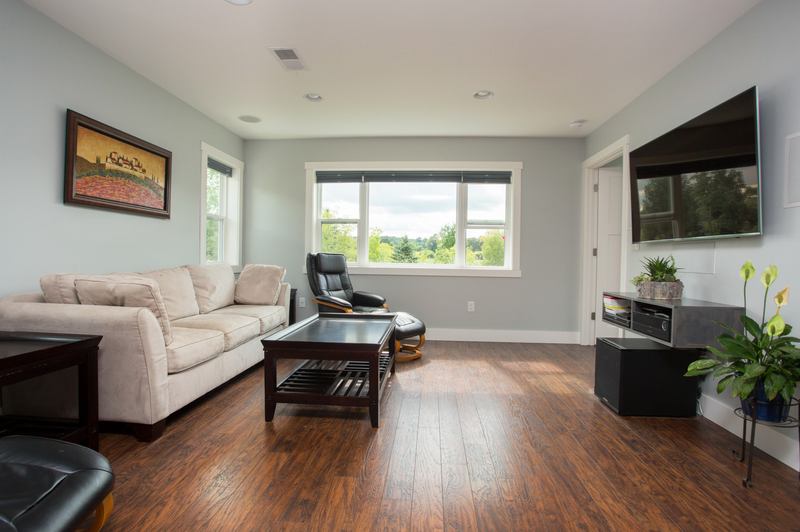 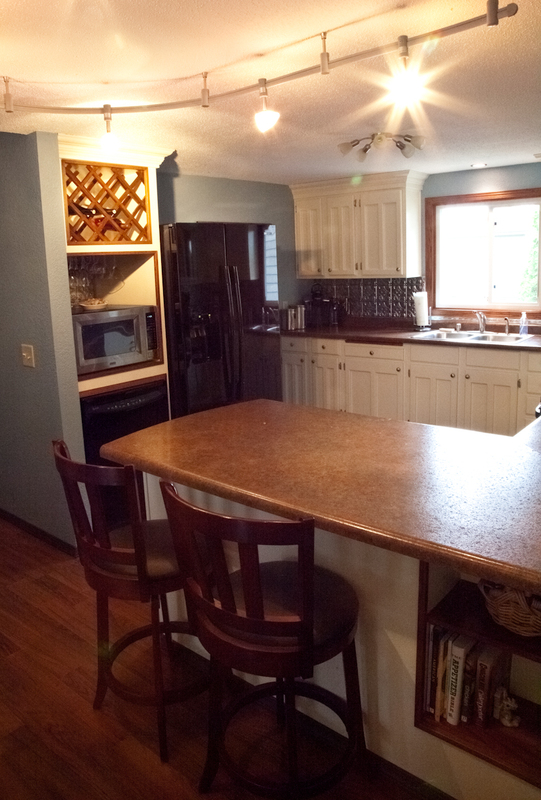 Custom built-ins include a plate holder, wine rack, and cookbook nook. 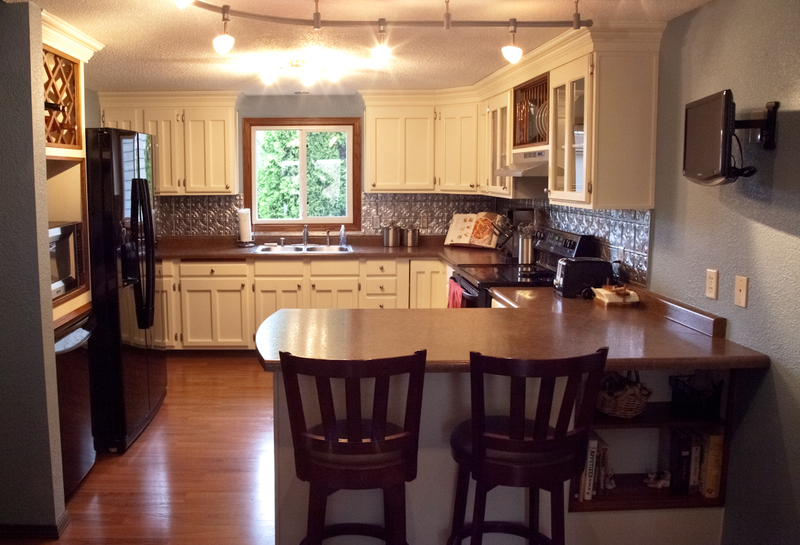 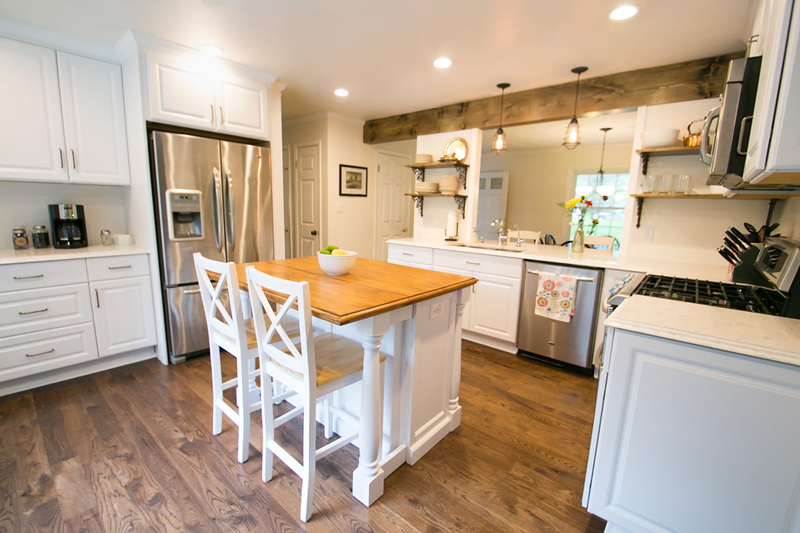 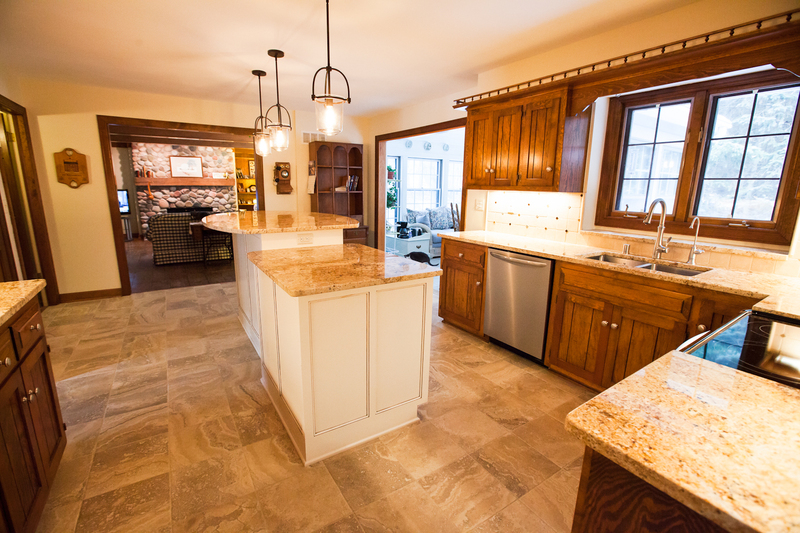 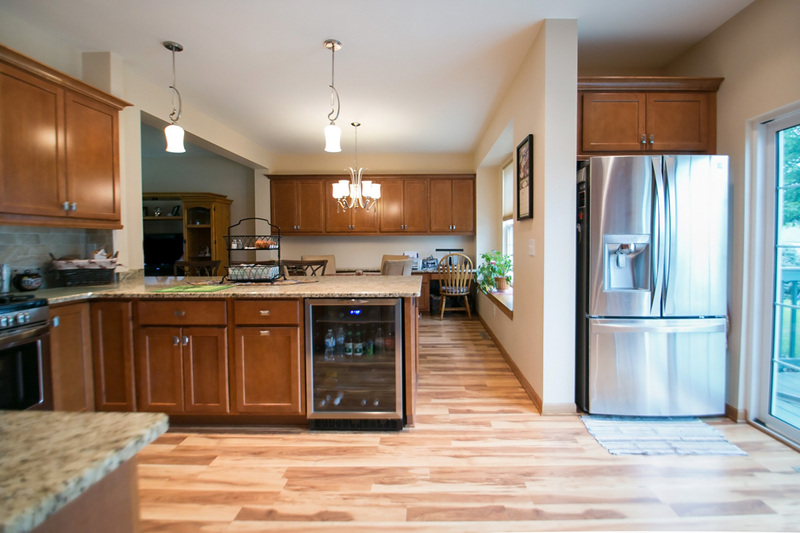 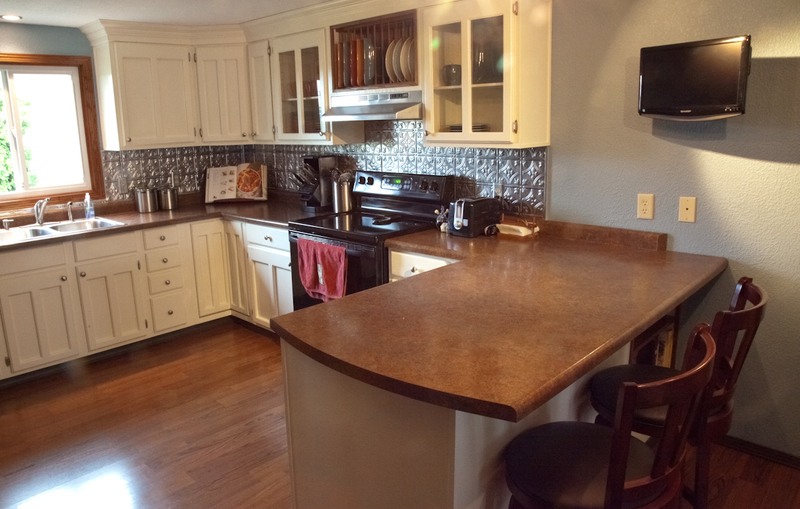 Modern light fixtures, a laminate floor, new counter-top, and flat-screen tv with internet connection finish off this kitchen overhaul.